IAF Wing Commander Abhinandan Varthaman HIGHLIGHTS: IAF Wing Commander Abhinandan was handed over to Indian officials at the Wagah-Attari border, the Ministry of External Affairs confirmed. IAF Pilot Abhinandan Varthaman HIGHLIGHTS: Indian Air Force (IAF) pilot Abhinandan Varthaman, who was in Islamabad’s custody for nearly 60 hours, was released at Wagah Border by Pakistani authorities on Friday, a move widely seen as a de-escalation of tensions between the two neighbouring nations. 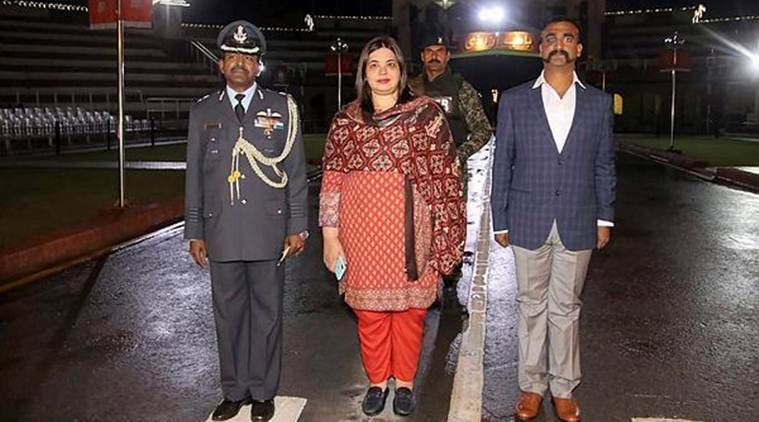 Abhinandan was handed over to Indian officials at the Wagah-Attari border, the Ministry of External Affairs confirmed. Dressed in a suit, the IAF Wing Commander was accompanied by a woman and Pakistani rangers till the border. This development comes a day after Pakistan Prime Minister Imran Khan had announced during the joint session of Parliament that they will return the IAF pilot to India as a “peace gesture”. Hours after the announcement, the Indian armed forces, at a joint press briefing in New Delhi, assured the country of “a resolute, swift and strong response when needed”. They also added that the IAF pilot’s return was “in consonance with the Geneva Convention.” It had earlier expressed objections to Pakistan’s “vulgar display” of the pilot after videos of him in the Army’s custody surfaced on social media. Sources said Delhi made it clear that there was no deal to be made and there was no room for negotiations but added that there would be consequences if the pilot was harmed or not released. President Kovind welcomes Wg Cdr Abhinandan Varthaman, he tweeted, "Welcome home Wing Commander Abhinandan Varthaman! India is proud of your courage and sense of duty, and above all your dignity. Wishing you and our entire Air Force every success in the future." Welcoming Abhinandan, Prime Minister Narendra Modi tweeted, "Welcome Home Wing Commander Abhinandan! The nation is proud of your exemplary courage. Our armed forces are an inspiration for 130 crore Indians. Vande Mataram!" Sources in the IAF said that the medical examination of Wing Commander Abhinandan will be conducted as per standard procedure. Welcome home Wing Commander. It’s great to have you back. Home, finally, Wing Commander Abhinandan! Welcome back. Speaking to reporters on Abhinandan's release, Air Vice Marshal R G K Kapoor said, "Wing Commander Abhinandan Varthaman has been handed over to us. He will now be taken for a detailed medical checkup because he had to eject from an aircraft. The IAF is happy to have him back." Dear Wing Commander Abhinandan, entire nation is proud of your courage and valour. India is glad to have you back. May you continue to serve the nation and IAF with unparalleled passion and dedication. Best wishes for your bright future. Wing Commander Abhinandan has been handed over to the Indian authorities by Pakistan. As per reports, Wing Commander Abhinandan will be handed over to India by Pakistan authorities at 9 pm. Taking to Twitter, Pakistan’s Army Chief Qamar Javed Bajwa said they would “surely respond to any aggression in self-defence”. "COAS had tel comm with Comd USCENTCOM, CDS UK, CDF Australia and Ambs of US, UK & China in Pak. Prevailing stand off between Pakistan & India & its impact on peace & stability in the region & beyond discussed. “Pak shall surely respond to any aggression in self defence”, COAS," he tweeted. COAS had tel comm with Comd USCENTCOM, CDS UK, CDF Australia and Ambs of US, UK & China in Pak. Prevailing stand off between Pakistan & India & its impact on peace & stability in the region & beyond discussed. “Pak shall surely respond to any aggression in self defence”, COAS. Reports coming in from across the border are that the Beating Retreat ceremony on the Pakistani side has ended. India cancelled the event for the day given the usually high presence of spectators at the ceremonial event. Air Vice Marhsal RGK Kapoor is likely to brief the media at the Attari border anytime now. A makeshift press table has been assembled from where he mwill read out a statement. IAF pilot Abhinandan has arrived at Wagah border. He is still on the Pakistani side and will crossover to the Indian side anytime now. Video footage from Pakistani news TV channels showed a heavily-guarded convoy arriving on the Pakistani side of the border. Prime Minister Narendra Modi, speaking in Kanyakumari, took a dig at the UPA government, saying unlike India's response following the 2008 Mumbai terror attacks, India 'acted' this time. "26/11 happened, India expected action against terrorists but nothing happened. Uri happened and you saw what our brave men did. Pulwama happened and you saw what our brave men did. I salute all those who are serving the nation. Their vigilance keeps our nation secure, PM Modi said. Modi then went on to hit out at the opposition for 'politicising' the operations carried out by the armed forces. "Sadly, a few parties, guided by Modi hatred have started hating India. No wonder, while the entire nation supports our armed forces, they suspect the armed forces. The world is supporting India’s fight against terror but a few parties suspect our fight against terror," he said. India's General Elections 2019 will be held on time and the on-going tensions between India and Pakistan will not delay it, Chief Election Commissoner Sunil Arora said, PTI reported. "Every Indian is pround that Wing Commander Abhinandan is from Tamil Nadu," Modi said. The Prime Minister was speaking at the launch of several projects in that state. He also added: "I am proud that India’s first woman Defence Minister Nirmala Sitharaman is from Tamil Nadu." Crowds have gathered to the beating of drums as they await IAF pilot Wing Commander Abhinandan's arrival. 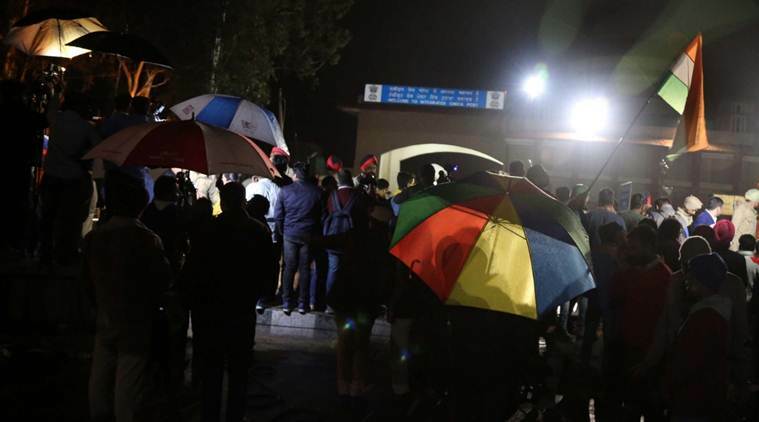 Officials at the stop are tigh-lipped as to when he will arrive at the border gate which usually sees hundreds of guests witnessing the Beating Retreat ceremony. A Pakistani citizen filed a petition in the Islamabad High Court to stop the release of IAF pilot Abhinandan Varthaman, saying he committed crime against the country and should be put on trial here. The petitioner said the Indian pilot had violated the airspace of Pakistan to bomb the country and therefore he committed crime against Pakistan and should face trial here. The court has admitted the petition for hearing. IHC chief justice Athar Minhallah will hear the petition ahead of the Indian pilot's handing over to India. India wanted to send a special aircraft to bring home IAF pilot Abhinandan Varthaman. The request was, however, rejected by Pakistan, sources said. Varthaman will now return home through the Wagah border which is around 25 km from Lahore in Pakistan. India, say sources, wanted an aerial route for Varthaman's return and not the Wagah land border. 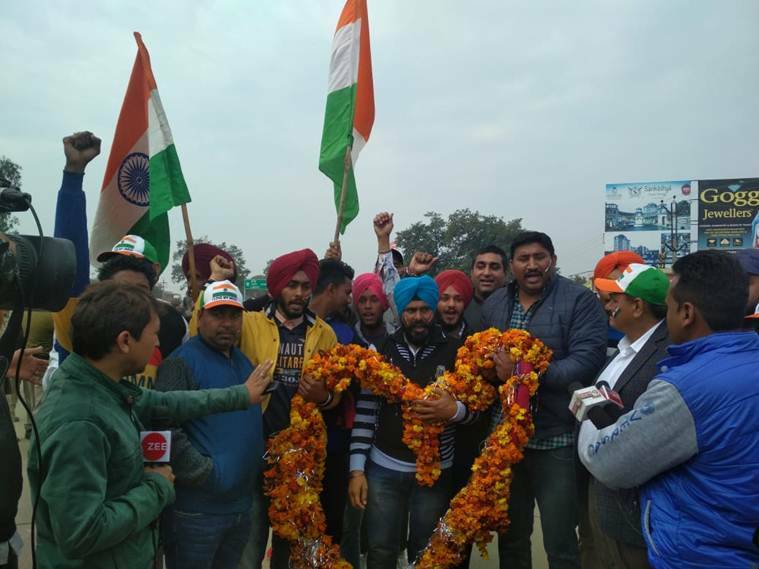 Punjab CM Amarinder Singh extended a welcome to IAF pilot Abhinandan Varthaman ahead of his return but chose not to personally receive him at the border. He had earlier sought Centre's permission to personally welcome the Wing Commander at the border. “I would have loved to go, since both he and his father were from the National Defence Academy, like me, and it would have been an extremely happy and nostalgic moment for me to receive the brave officer,” said the Chief Minister in a statement. However, he says he later thought over it and came to the conclusion that it might contravene the protocols laid out for such cases. When any PoW from the 1965 or 1971 war came back, he was first sent for medical examination, followed by a debriefing, which was likely to be the case with Wing Commander Abhinandan too, he noted. In the circumstances, it would be more proper for him not to go to the Wagah border to receive the officer, he added. But the CM, who is camping in the border areas, extended a very warm welcome to Abhinandan, saying the whole nation was proud of the way he stood up to questioning by the Pak armed forces during his captivity. “It was top-class and I congratulate him and welcome him back home,” Captain Amarinder added. With relief, a nation waits for Wing Commander Abhinandan. But Pakistan will need to do a lot more. If Imran Khan genuinely believes that terrorism has hurt Pakistan, he should pay attention to this “infrastructure of terrorism”, as the world now describes it. Pakistan has acted in accordance with the spirit of the Geneva Conventions, to which it is a signatory. India and Pakistan have an informal understanding for returning security personnel who have crossed over into each other’s territory. In this instance, however, given the context of the heightened tensions and war-like atmosphere in which it is taking place, the IAF pilot’s release is even more welcome. 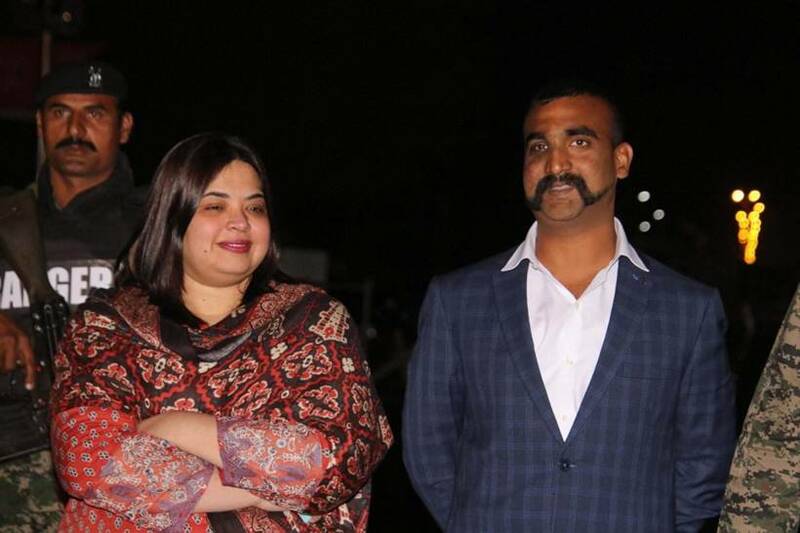 Indian authorities in Pakistan have been formally informed of the decision to release IAF pilot Abhinandan Varthaman shortly, sources within the Foreign Office told Dawn News TV. Acting Indian High Commissioner Gaurav Ahluwalia also visited the Foreign Office to complete the formalities ahead of the release, the report added. 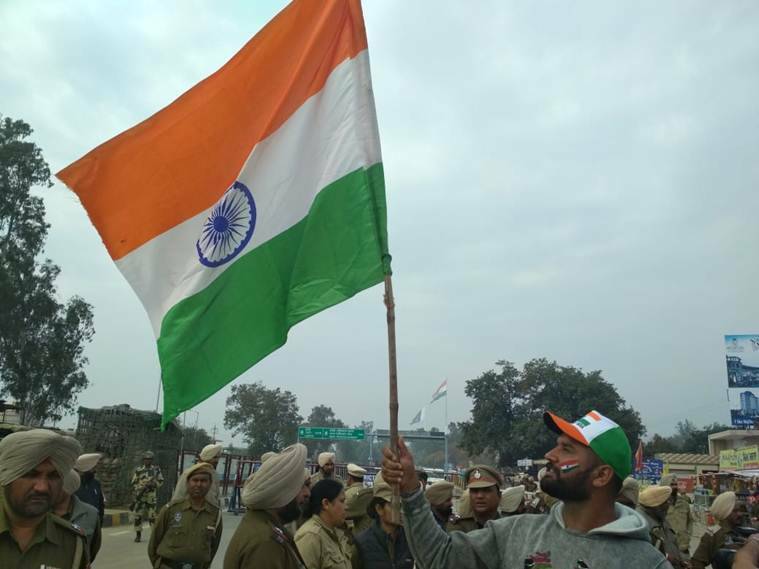 Hundreds of people have gathered at the Wagah border to catch a glimpse of IAF Wing Commander Abhinandan Varthaman. 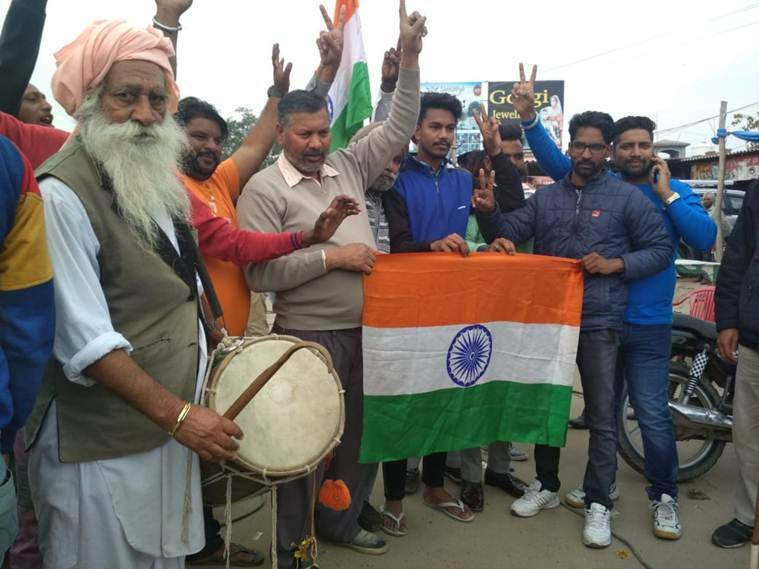 Patriotic fervour prevailed at the border with border residents singing songs, beating drums and carrying the tricolour in their hands. Barely one-km away from the Indo-Pak border, people sang patriotic songs and raised slogans like "Bharat Mata ki Jai". A Sikh youth from a nearby area was seen carrying a huge garland, while an elderly man was seen beating a 'dhol'. "If permitted, I want to welcome the Wing Commander with this garland," said the youth carrying garland. Security has also been heightened in the area. 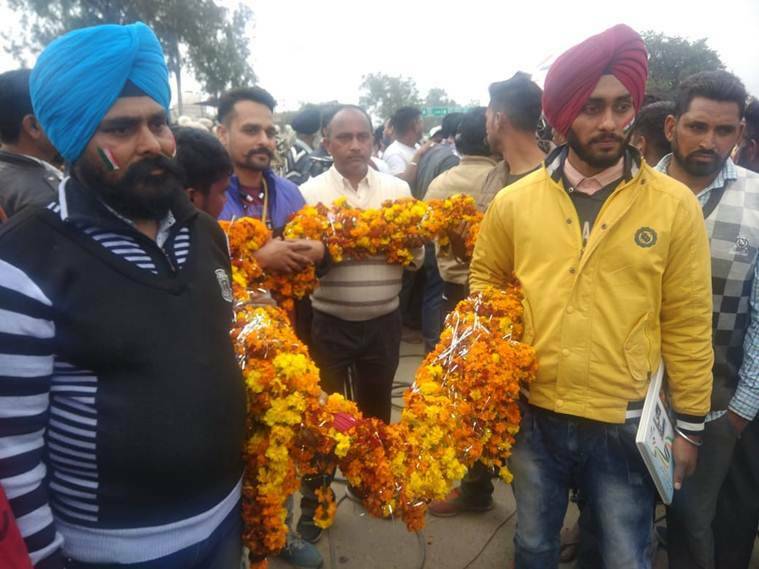 A youth in Amristar has brought 28-kilo garland to welcome the IAF pilot Abhinandan Varthaman. A team of IAF officers have reached Attari and Abhinandan is likely to cross the Wagah border at around 4 pm. This is the first time that Indian foreign minister has been invited at the OIC in the last 50 years. External Affairs Minister Sushma Swaraj will attend the foreign ministers’ meeting to be held in Abu Dhabi, on March 1-2, at the invitation of the UAE’s Sheikh Abdullah bin Zayed Al Nahyan. The invitation to address the OIC meet is a significant diplomatic victory for India. The invite may be an important outcome of the visit of Saudi Crown Prince Mohammed bin Salman, apart from an indication of New Delhi’s improved ties with both Saudi and the UAE. However, it is important to watch what line OIC takes on J&K. Described as the "backbone" of the Indian Air Force, MiG-21 Bison is the jet that was downed by the Pakistani authorities during an aerial engagement with Pakistani Air Force (PAF) aircraft. Varthaman who was flying the jet ejected across the Line of Control and is in Pakistan Army custody. The MiG-21 Bison, one of India’s six fighter jets, is of Russian origin. It is a single engine, single seater multirole fighter aircraft. It has a maximum speed of 2,230 km/hr and carries one 23mm twin-barrel cannon with four R-60 close combat missiles. Indian Air Force pilot Abhinandan Varthaman's release announcement came hours after US President Donald Trump claimed that "we have some decent news," and that the tensions between the two countries will "hopefully end soon." So, was there behind-the-scenes diplomacy to de-escalate matters between the two neighbour nations? The details of the behind-the-scenes diplomacy will become clearer only in the coming days, but there has been a long history of US engagement to defuse crises between the two neighbours, especially in the years after both countries went nuclear in 1998. 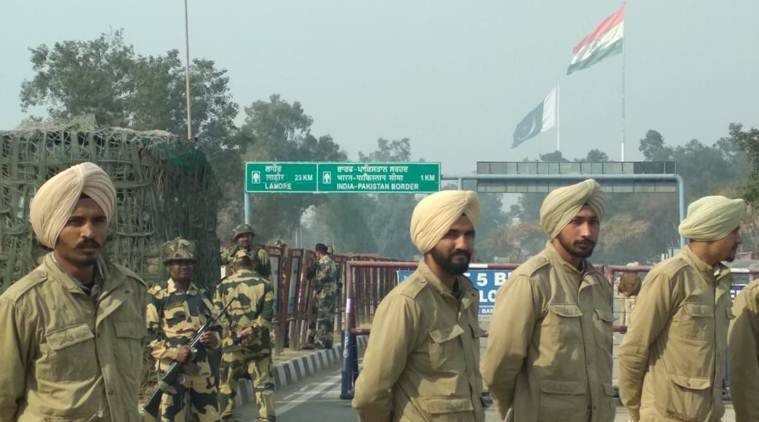 Scene at Wagah border in Amritsar where IAF Wing Commander Abhinandan Varthaman will be returned by Pakistan. The United States welcomed Pakistan's decision to release capture IAF pilot Abhinandan Varthaman from their custody. “We welcome Pakistani Prime Minister Imran Khan's commitment that Pakistan will release on Friday the Indian pilot held in its custody,” a State Department spokesperson told PTI responding to a question on the announcement made by Khan in the Pakistani parliament. Pakistan Prime Minister Imran Khan Thursday announced that IAF's captured pilot Wing Commander Abhinandan Varthaman will be released on Friday as a "gesture of peace". The surprise announcement during a joint session of Parliament came barely an hour after Foreign Minister Shah Mehmood Qureshi said that Prime Minister Khan is ready to talk to his Indian counterpart Narendra Modi to de-escalate Indo-Pak tensions. Amid the rising tensions between India and Pakistan, the release of Indian Air Force Wing Commander Abhinandan Varthaman has set the ball rolling for de-escalation between the two countries. Varthaman has been in Pakistan Army’s custody since Wednesday after his MiG-21 Bison was hit by ground air defence weapons when he was in the process of thwarting the PAF’s intrusion in the Indian airspace. Retracting from its earlier statement that two Indian pilots were in its custody, Pakistan Army later said that only one IAF pilot was captured by its forces. The Pakistani announcement on Varthaman's release came after it sought an assurance — the US-led global efforts to try and defuse the crisis — that India would not retaliate for targeting of its military installations by the Pakistan Air Force and downing of Varthaman’s MiG-21 Bison. In a joint press briefing, the Indian armed forces also rubbished Pakistan's claims that it never used American F-16s in its attempted air strike on military installations in the Rajouri sector. 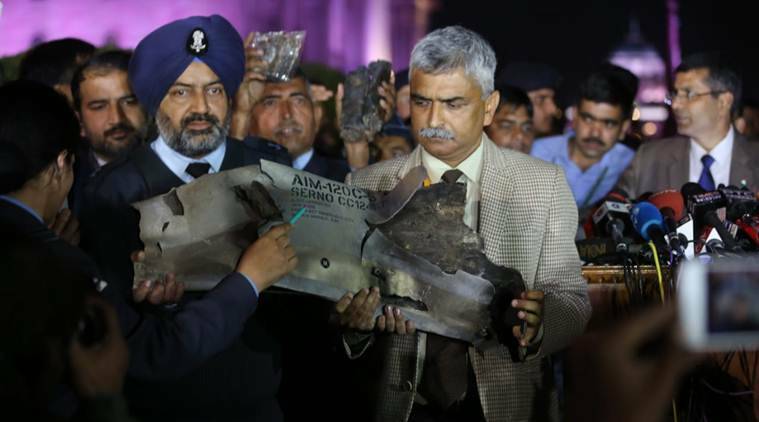 Presenting parts of a fired AMRAAM missile which can only be fired from an F-16 aircraft, Air Vice Marshal R G K Kapoor said, "There is enough evidence to show that F-16s were used in this mission and Pakistan is trying to hide this fact." The debris presented was of AIM-120 C-5 AMRAAM missile, with markings showing the contract number of the missile as FA8675-05-C-0070 and serial number as CC12947. This is the contract number (FA8675-05-C-0070/P00028) placed by Headquarters Medium Range Missile Systems Group, Eglin Air Force Base for Foreign Military Sales to Pakistan on November 17, 2006. The evidence is critical to establishing the use of the F-16s in the air strike since the US, which sold the fighter jets to Pakistan, does not allow these platforms to be used in an offensive role. AMRAAM missiles allow a fighter pilot to target an enemy aircraft that is beyond visual range, in day or night, and in all weather conditions. The AMRAAM has an autonomous guidance capability, which allows the pilot to manoeuvre immediately after missile launch.